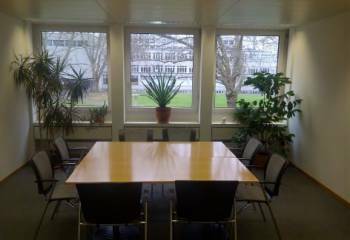 If you are looking for a meeting-room close to the Zurich Mainstation, you’ve come to the right place!The room has a size of 4.3m x 5.8m (ca.25m2). We do recommend a max. of 8 participants. The room has one large table with 8 chairs. You can book the room Monday to Friday from 8 am to 6 pm. We do not offer parking spaces. Within 50 meters you have a large parking and around the house we have blue and white zone parking.We are looking forward to recieve you as our guest.